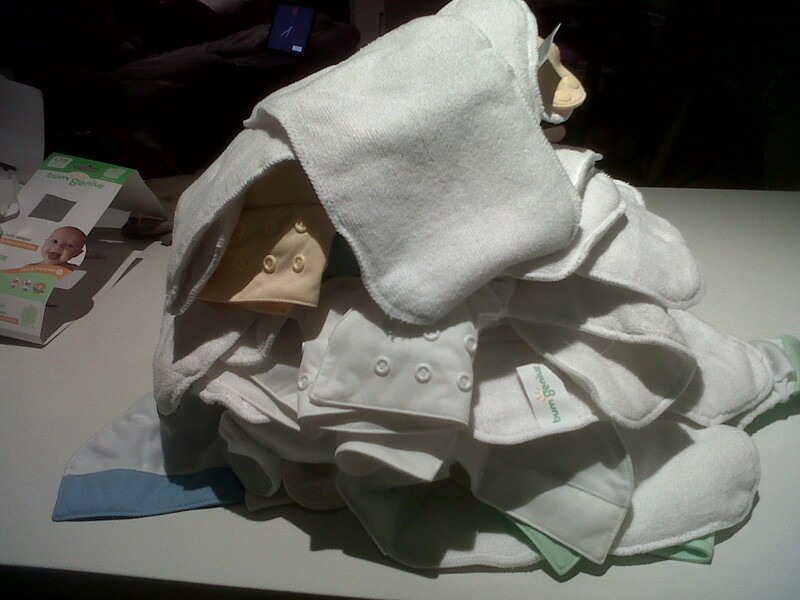 Harlem Lovebirds: Our Cloth Diapers Have Arrived! Our Cloth Diapers Have Arrived! Our Bum Genius 4.0 diapers we ordered from Cotton Babies arrived today! Just a refresher that we ordered 12 diapers through the buy five get one free sale. Total cost was $173.80. 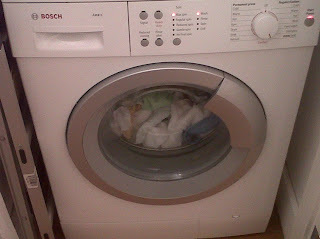 They require 5-7 washings before use so I got started right away. Although Cotton Babies had free shipping they were slower than Diapers.com but oh well! Nia doesn't have many disposables left so I'm gonna be up late doing washings tonight. Now the instructions says to dry in between each washing, but the covers have to be line dried. That will take forever to line dry 5-7 times so I'm just gonna wash those after the liners are dried in the dryer. I wish this part was more clear in the instructions, but we'll see what happens. We have a Kids Care cycle that's extra hot so I'm using that for the diapers. It was nice that it came with two small packets of Bum Genius detergent. We have free and clear and Dreft, but I know you have to be super careful about what you use to wash cloth diapers. I'll have more about that later . 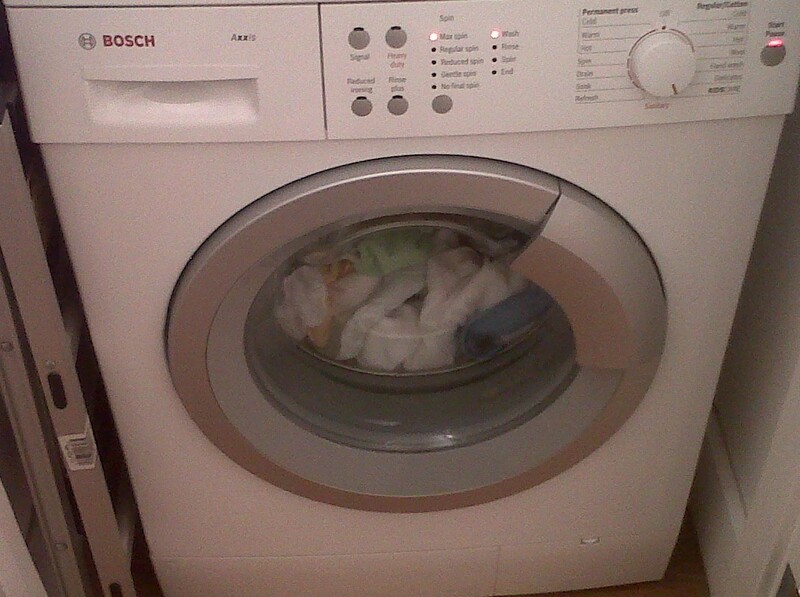 . .
For now it's me and our washing machine tonight . 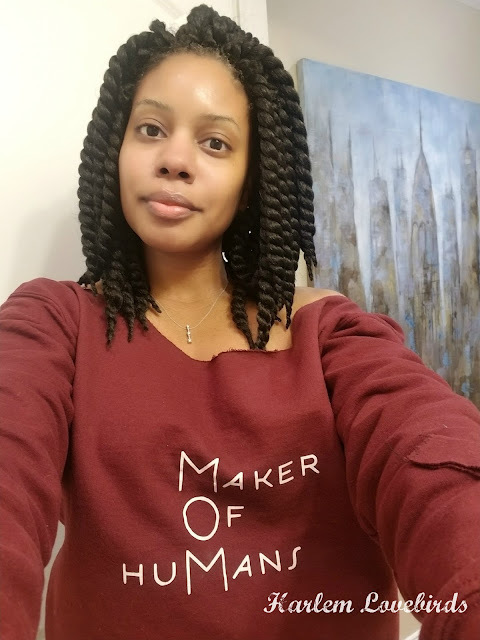 . .
@ashley y Thanks Ashley! 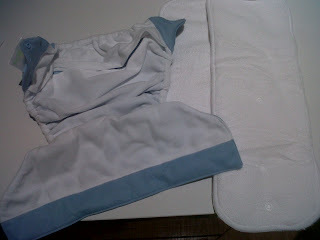 The liners dried quickly but I was concerned about all the prewash cycles for the covers. Turned out I just washed them repeatedly without drying in between. They line-dried very quickly and I'm so glad I won't have to repeat that process again! Yes, I've heard Rockin' Green is good; I entered a contest a month or so ago to win some but didn't. I guess I'll be buying some!